Even though the room was small she didn’t hesitate to include a 48-inch Wolfe range and two Subzeros—a 30-inch refrigerator and a 30-inch freezer. With the two doors facing one another it reminded Cyndy of an old armoir. 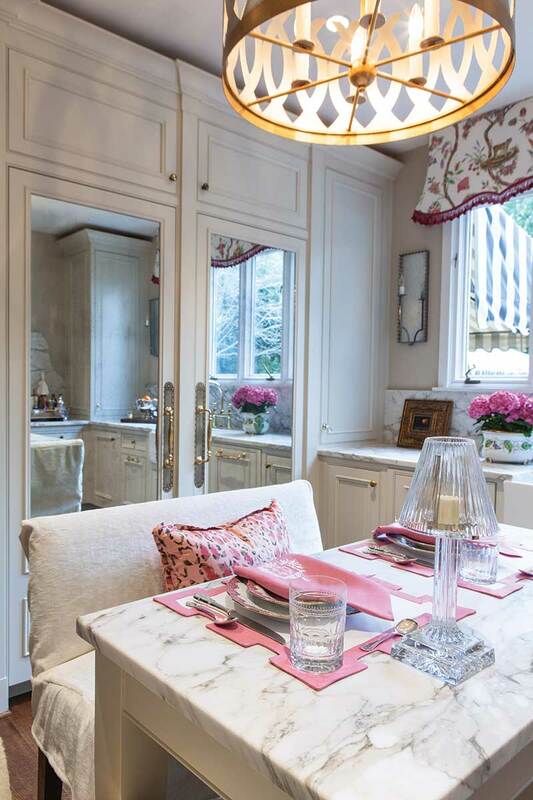 This inspired her to cover the doors with antique mirrors. It’s an elegant look adding depth to the room because of the mirrors’ reflection. 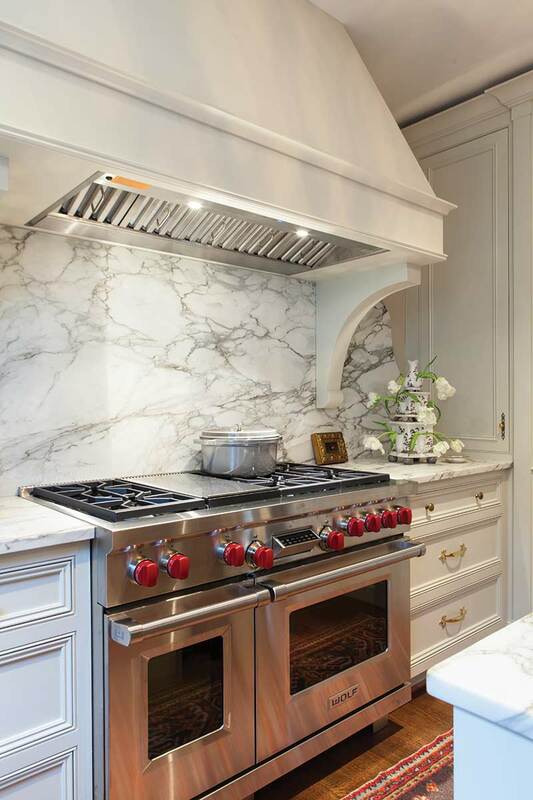 Calcutta marble tops the small island, the counters, and is used for the back-splash. 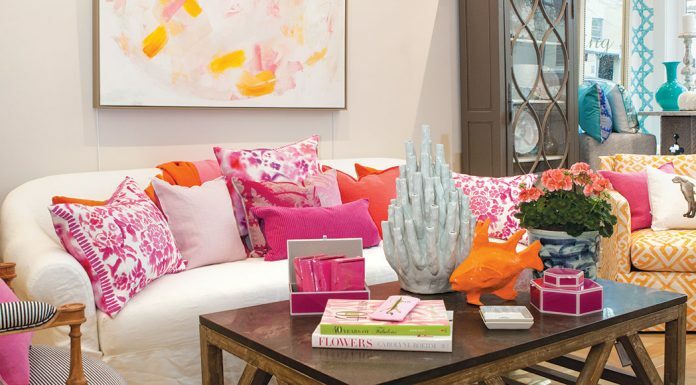 Using the same material throughout is another tip she offers to create an uncluttered look. 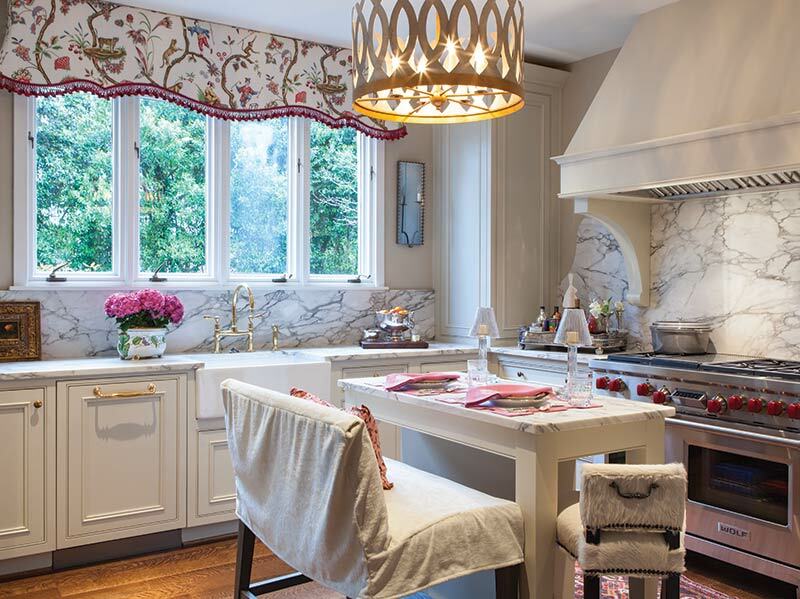 In this mostly neutral room, the china inspired the touches of pink found in the linens, window valance, and the pink grass cloth inside the glass cabinets. An oriental rug lies in front of the stove. Cyndy loves these types of rugs for the kitchen because she says they hide spills, dirt, and everything in between. 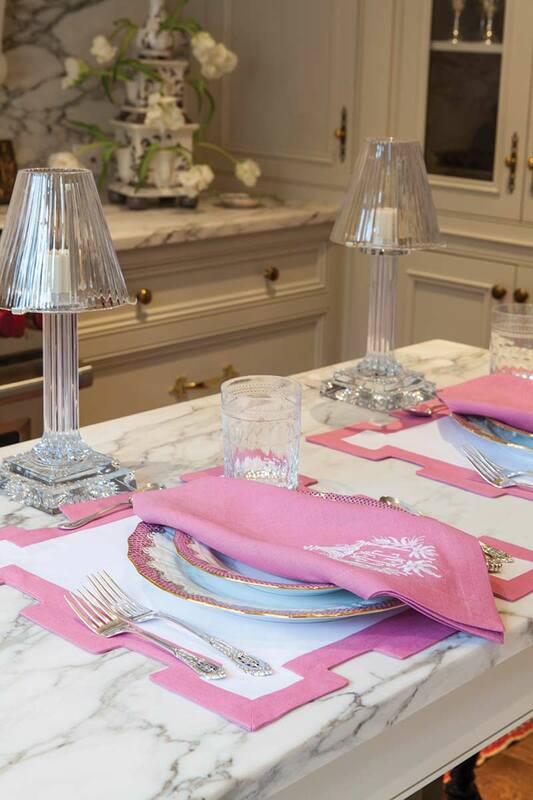 White, classic, and timeless is Cyndy’s favorite kitchen. 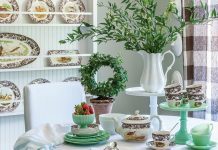 As a designer she knows redoing a kitchen is an expensive project, so a neutral background provides flexibility in decorating for years to come.